The Villnösser Valley, a mostly untouched Dolomite valley that is still free of tourism, begins in the vinyards of the Eisack valley and ends in the tremendous rock formations of the Dolomites. The Villnösser valley became known through the mountaineer REINHOLD MESSNER, who grew up in Villnöss and discovered his passion for the mountains. 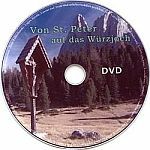 The small, contemplative mountain villages like Teis, St. Valentin, St. Peter, St. Jakob and St. Magdalena were able to maintain their tradition over centuries. Especially interesting and worth seeing is the Teiser MINERAL MUSEUM with many valuable rock crystals and the famous TEISER KUGELN. We start our ca. 18km long bike tour to the Würzjoch in St. Peter at 1154m sea level. After getting over the first steep incline, we ride along the slope of the Mittel- and Tschiniförberges. Looking to the right we can see the mighty grey pinnacles of the GEISLER-GRUPPE and the rock massif of the AFERER-GEISLER above the Villnöss valley. After the Jausenstation Halslhütte (1866m), the rock formation of the PEITLERKOFEL (2875m hoch) slowly moves into view. Going downhill now we cross a mountain creek so we can then master the last of the total 833altitude meters. Arriving at the Würzjoch at 1987m, we can enjoy the phenomenal view of the valleys and high plains of the Dolomites, as well as the wonderful sight of the tremendous rock formations of the PEITLER-KOFELS.